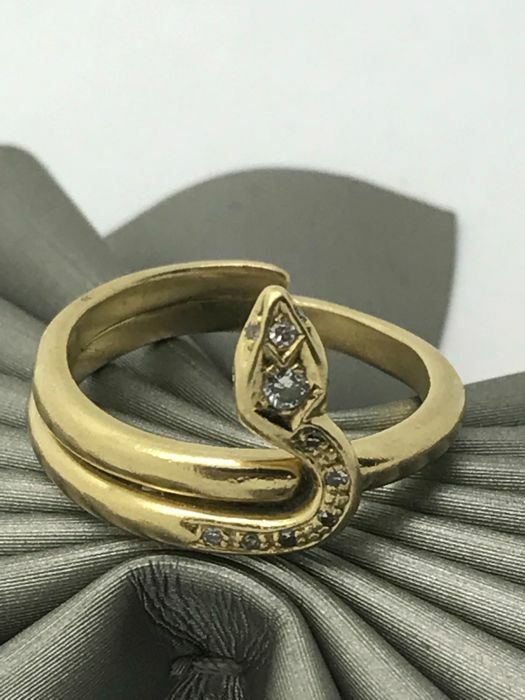 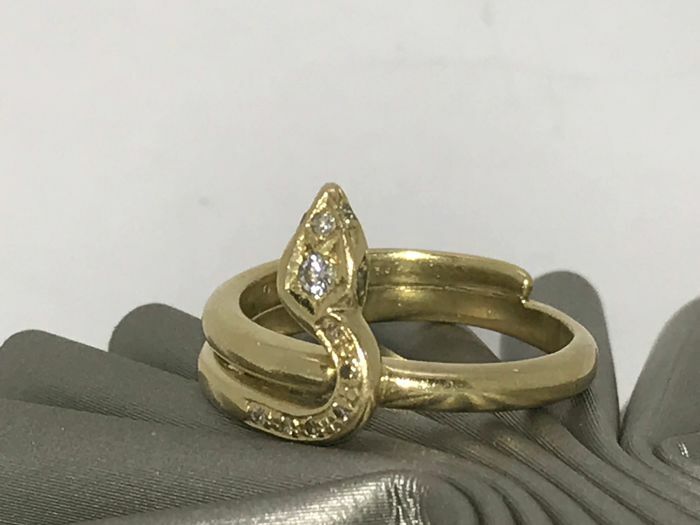 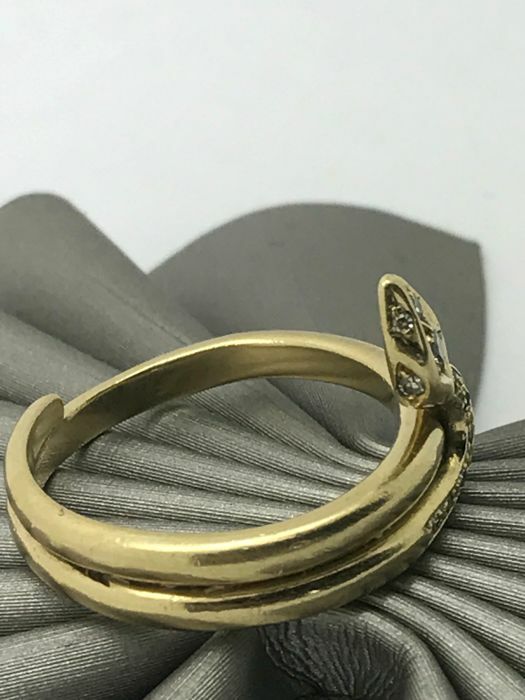 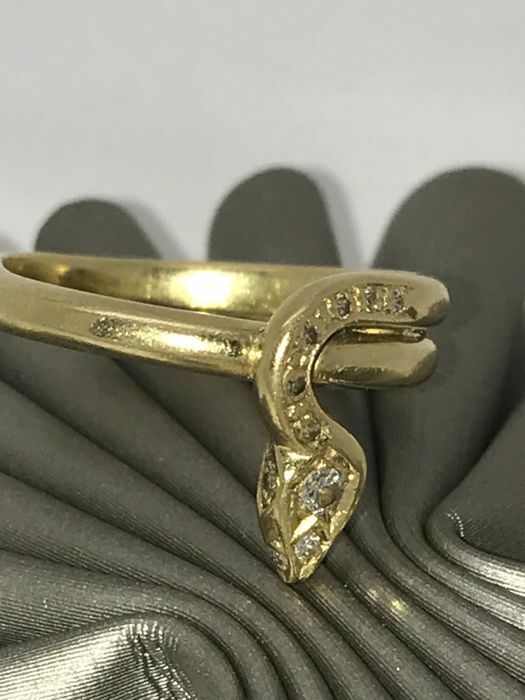 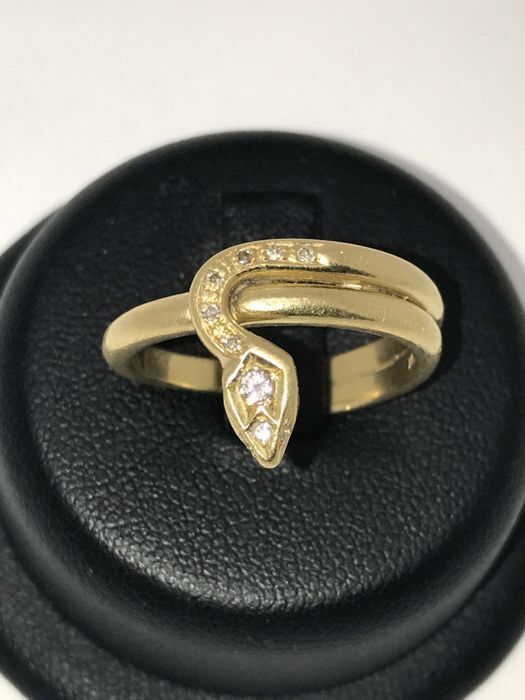 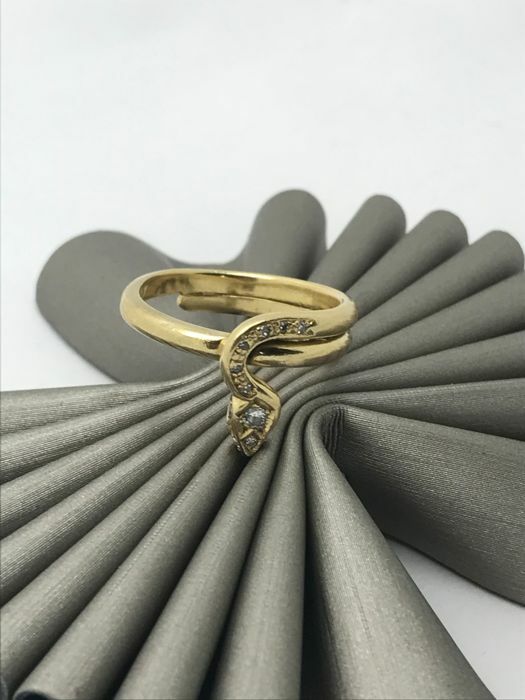 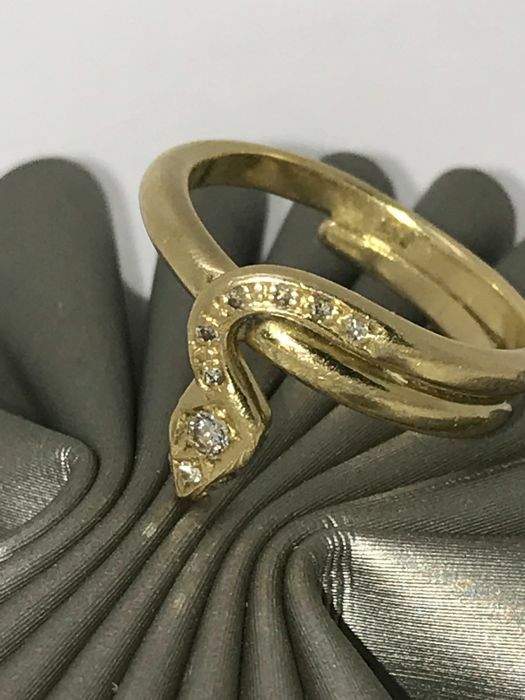 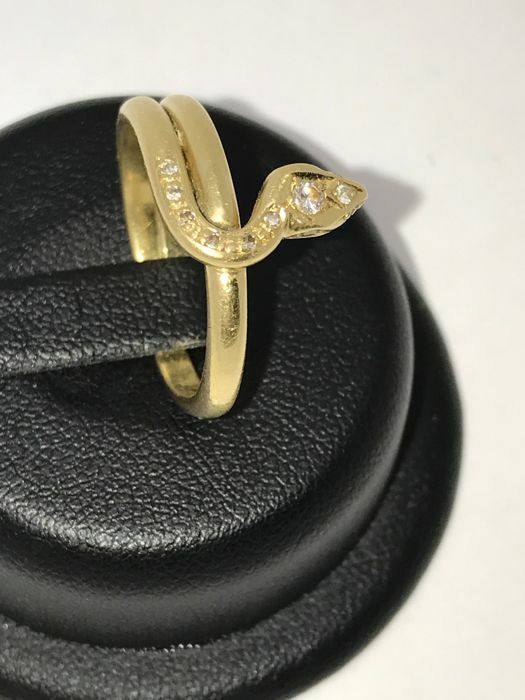 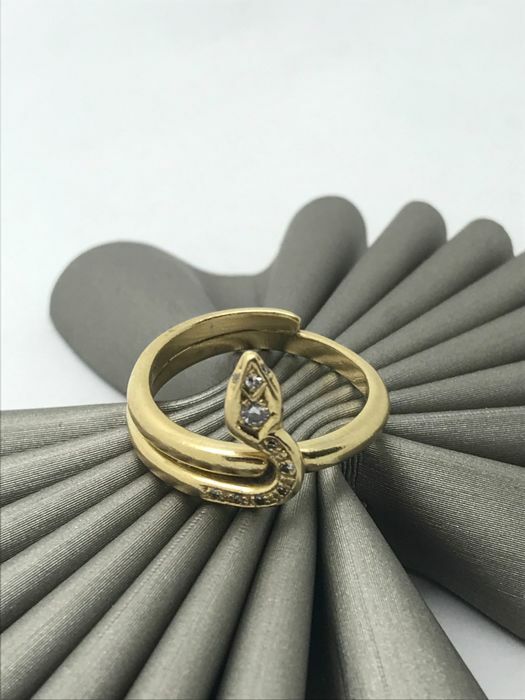 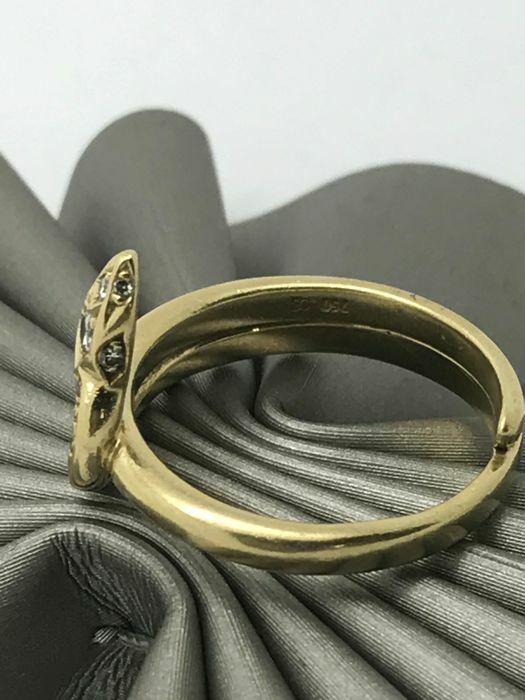 18 kt gold ring with brilliant cut diamonds - snake / bud look - ring size 55. 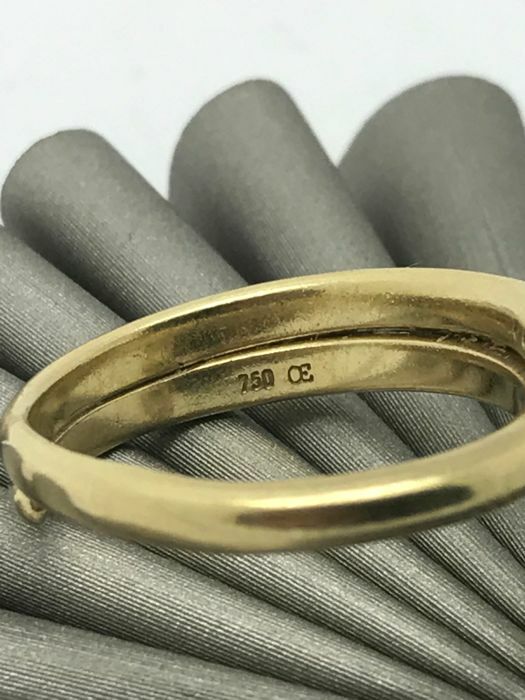 The size of the ring is 55. 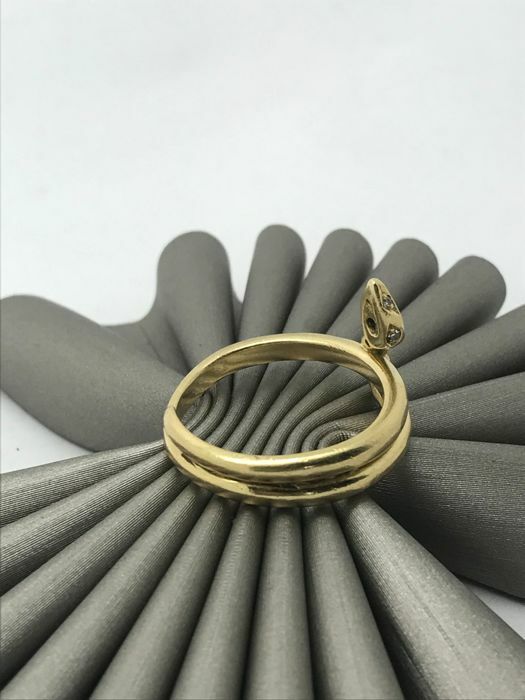 The size can be adjusted on request. 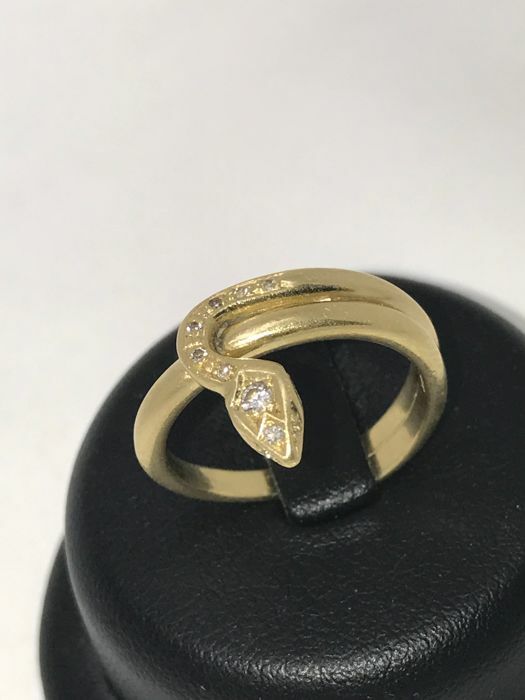 On the inside is the hallmark with the gold grade. 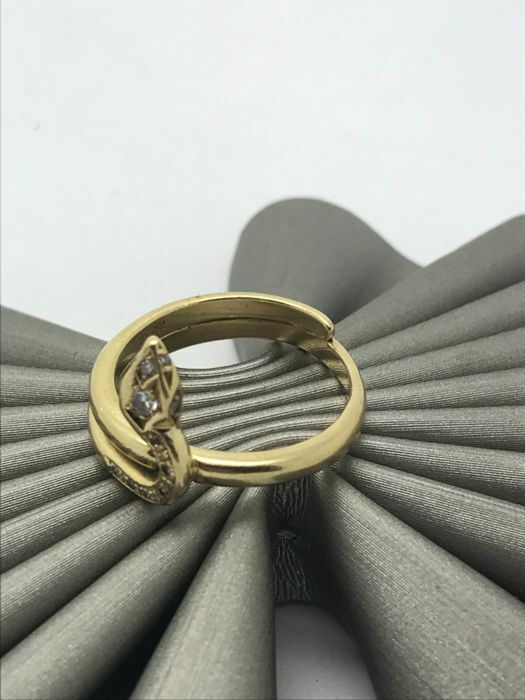 Insured shipping via UPS or DHL. 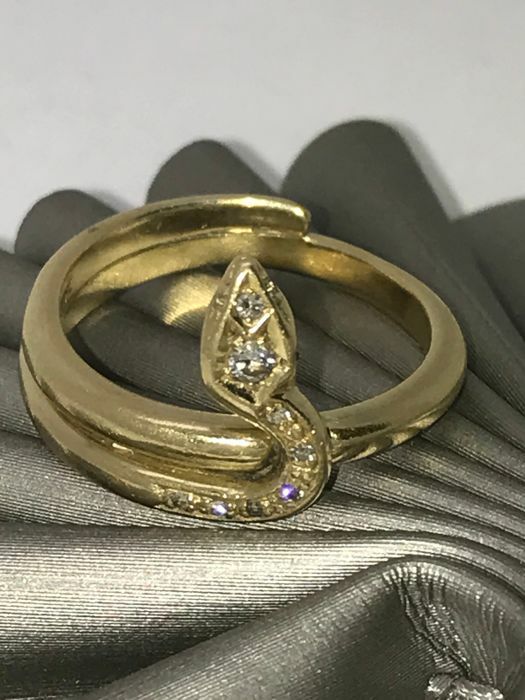 You can pick up this lot from the seller: München (Bayar), Germany.